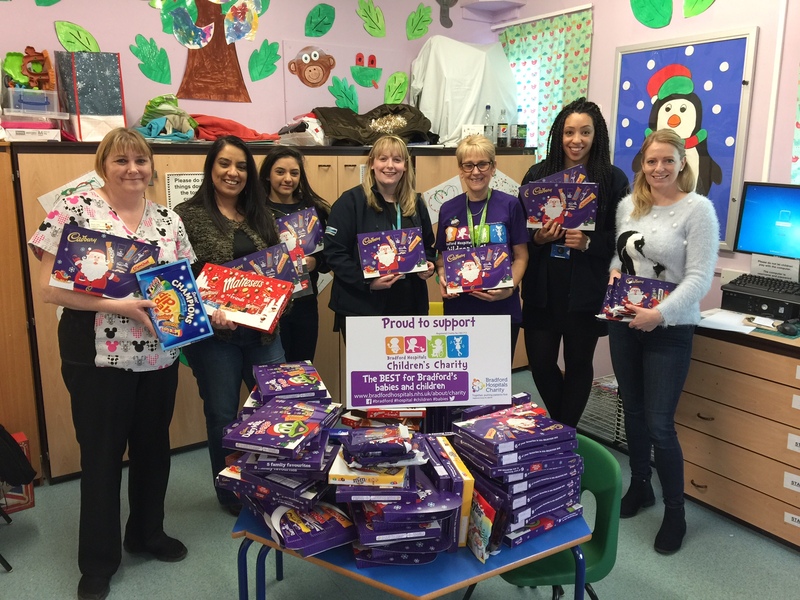 In what has evolved into an annual tradition that has been going on for the past three years now, Sarah Royal of Idle in Bradford donated over 700 selection boxes to children in hospital at Christmas. The beneficiary of this appeal in the first year was Bradford Royal Infirmary (BRI), while years two and three saw both Airedale General Hospital and BRI receiving festive deliveries. In her latest efforts, Yorkshire Water’s social media channels manager Sarah who manages these social media channels from its Bradford HQ roped in some extra helping hands from her colleagues and friends, the result of which initiative saw a third hospital included in the form of Calderdale Royal. Yorkshire Water’s Cares at Christmas appeal has been supporting food banks and homeless charities in the Yorkshire and Humber region, doing it again this past year. Donations came in from kind-hearted colleagues, containing basic food supplies and Christmas goodies. Sarah’s 350-box target which she had set herself for the past year was absolutely obliterated by all the donations of boxes as well as cash from all her friends, colleagues and family. Aman Athwal and Ricky Alonso, Sarah’s friends who are owners of Northern Granite, kindly offered to match every selection box collected (up to the 350 target) with a £1 donation to charity so she has already raised at least £350 for that worthy cause too. Accompanied by Naz Shah, Member of Parliament for Bradford West, Sarah delivered some of this ‘Christmas cheer’ to children at Bradford Royal Infirmary on Thursday 22 December 2016. On the very same day, Calderdale Royal and Airedale Hospital children’s wards also received a delivery from Sarah along with Holly Lynch MP and Kris Hopkins MP.